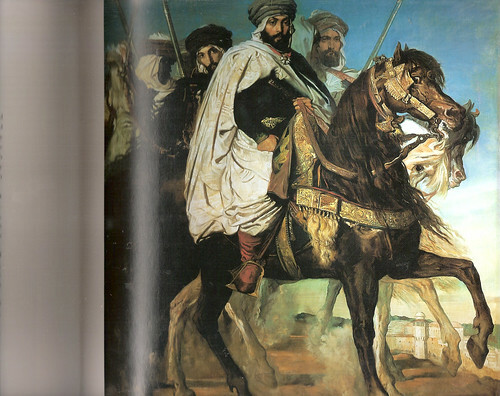 Here is an image of Leopard, one of the two arabs presented to General Ulysses S. Grant who had a penchant for horses. 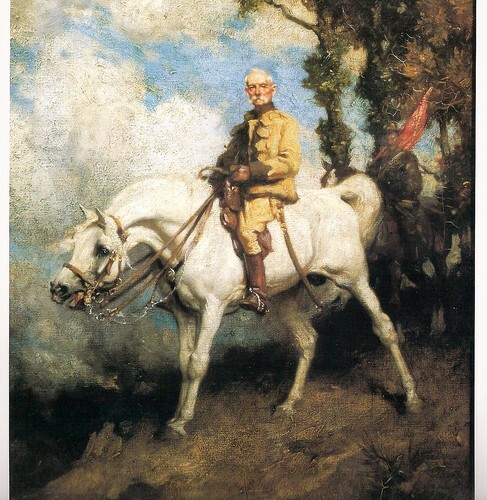 It didn't fight in the civil war with him. 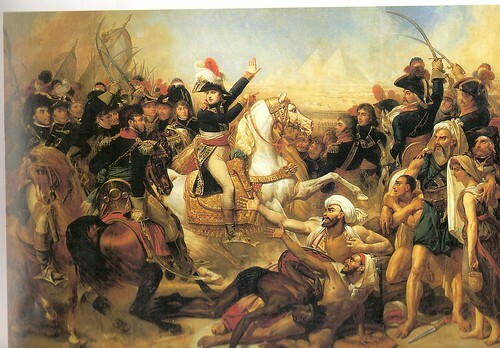 I found this when going back through Eba's ancestry. 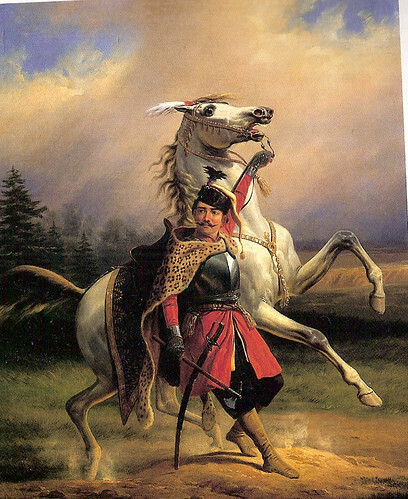 This painting is called Sobieski's Squire , not sure if that is the horses name but it is a painting of the king of Poland John the 3rd painted in 1850. Lynda these are beautiful pictures. I've got he Chief of Harachas on my wall,(not the original ) and would just love Sobieshis Squire, stunning painting, thanks for sharing. Thanks very much for sharing these beautiful works of art. Lovely pictures Linda, thanks for sharing them. I wish I had them hung on my walls I could get really carried away with my imagination. wonderful pictures Lynda, thanks so much for taking the trouble to put them up for us to share ! 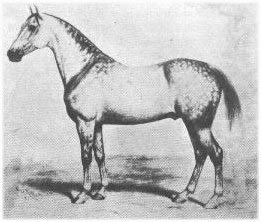 (Wellington's mount Copenhagen was by a thoroughbred out of a mare by the Rutland Arabian). Lovely pictures, i like Imaum. I love the pictures I would love them on my walls too Sue J, I think the detail is amazing proper paintings I think, I wonder if you could buy prints I might have a look, my boyfriend will be pleased having more horses all over the walls we have loads already. please post more if you can Lyndi. They were cheap as can be, all I did was frame them in a very ornate wooden frame and now they look a million dollars! I put these two behind glass. Wow what fabulous horses and pictures - can't believe Vonolel - what a horse!!! Lovely topic. I am enjoying these paintings. 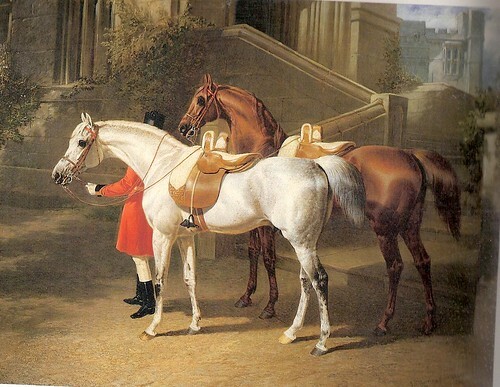 There were at least two Marengos, and the David painting also exists in at least two versions showing him on a Spanish horse, one of which is tobiano pinto! So I wouldn't rely on it for any form of evidence. 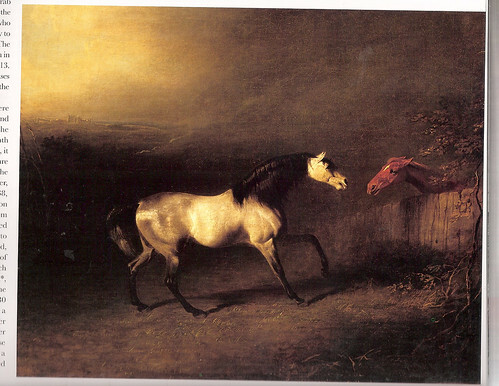 You do have to be careful using paintings as a reliable source, since although some do represent the horse 'as is', others are more romanticised and they tend to exaggerate type. 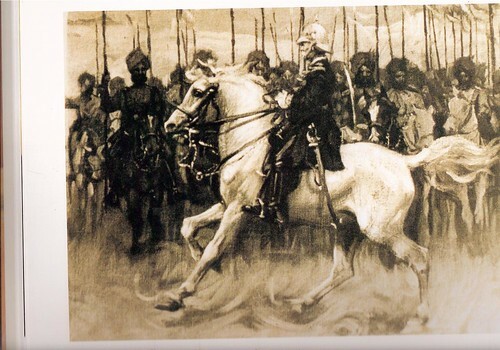 For example, if you looked at many Victorian illustrations, you would think that the typical British cavalry horse was a very extreme Arab, when nothing could be further from the case! 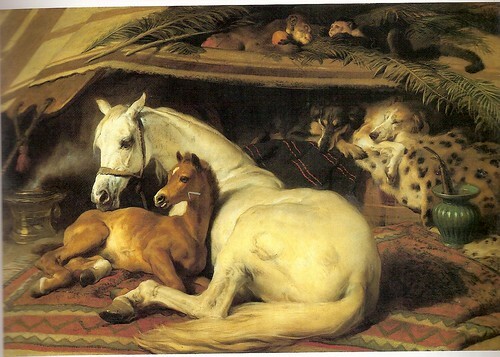 Landseer would paint what he saw so those two are what they are! animals in correct form. 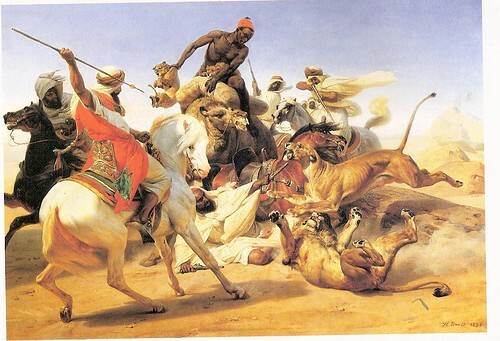 I think the desert Arabians portayed were infact quite slight and wirey. Thanks so much for these pics Lynda they are just brill.